Description: Network, the multifunctional net system, guarantees fun and games for all, whether you opt for a flexible or fixed setup. 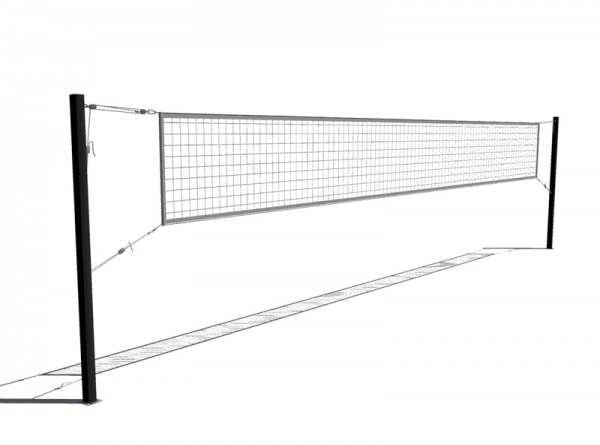 One net system enables you to play tennis, badminton or volleyball. You can choose between permanent posts and removable ones with ground sleeves that can be covered if the posts are removed. The safe, low-noise Network does not have any projecting parts and can be delivered in any length required. It can be used as an integrated element of the Omnistadium or separately so that the available space is utilized to the full. Removable uprights mean that the field can be used for various sports – Available in practically any colour – High-quality appearance and a 21-year guarantee!